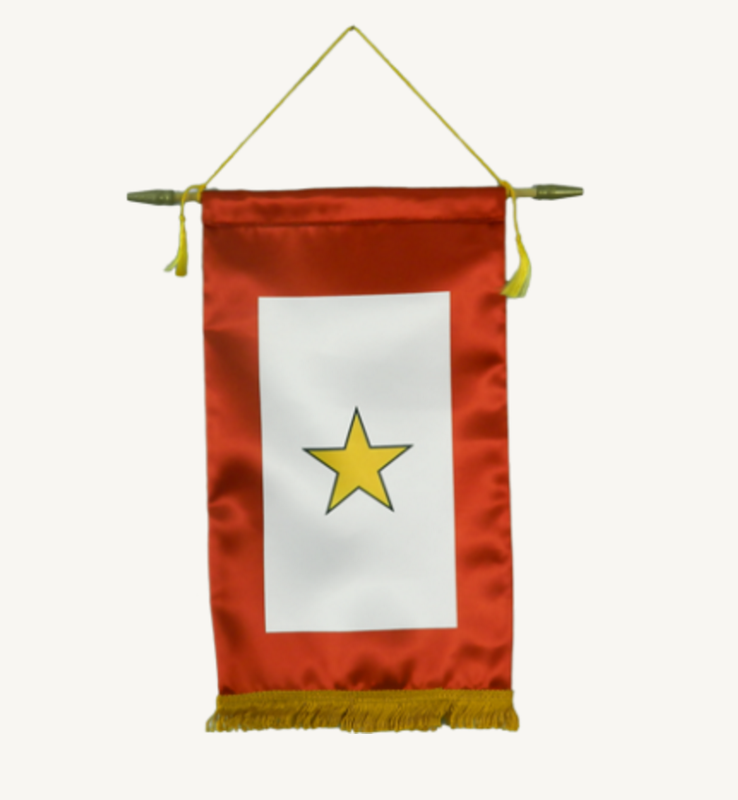 Since 1936, the last Sunday in September has been observed as Gold Star Mother’s Day. Much like Memorial Day, Gold Star Mother’s day is a day of remembrance but in this case, specifically for mothers who have lost a child serving in the United States Armed Forces. On this day we not only acknowledge the ultimate sacrifices made by our servicemen, but we remember the sacrifices made by families. The families who watched their sons or daughters leave their homes and give their lives for their country. 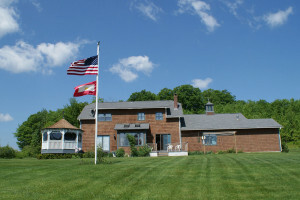 Gold Star families often display the Gold Star Flag. The flag looks similar to the blue star banners we’re accustomed to seeing in windows and on flagpoles of the families of service men and women who are currently serving our country. The gold star replaces the blue star on the flag and is a symbol of the sacrifice made. The number of gold stars seen on the banner indicates the number of service men or women the family has lost. Recently, a special flag with five gold stars was made in honor of the Sullivan family. During World War II, all five brothers of the Sullivan family from Waterloo, Iowa joined the Navy. George, Frank, Joe, Matt, and Al all joined the Navy together on the condition they be allowed to serve together on the same ship. The brothers served upon the USS Juneau together for several months, until November 13, 1942 when a Japanese torpedo hit the ship. Ultimately, only ten crew members were rescued. Sadly, this did not include any of the Sullivan brothers, all of whom perished when the ship went down. George, Frank, Joe, Matt, and Al left behind their mother and father, Alleta and Thomas Sullivan, and a sister, Genevieve. Al also left behind a wife, Katherine Mary, and a son Jimmy. The legacy of the brothers was far from over after their death; ultimately two ships were named after them, bearing the title The Sullivans and the very fitting motto “We stick together.” Their story was also immortalized on the silver screen in the 1944 film The Sullivans. Gold Star Mother’s Day is not just a day for families to reflect on their lost loved ones; it is a day where we must all remember the sacrifices made for us, not just by those serving our country, but also by the families they leave behind. 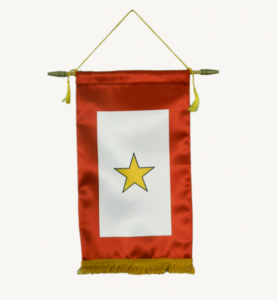 A Gold Star Service Flag would be an incredibly special gift to give to one of those families as just a small token of appreciation.